Deadline Day - A good day or another let down? So here we are. In just over 12 hours time the transfer window will slam shut until the end of the season. As you all know we have been linked with a few players ever since the window opened and once again we arrive at the last day of the window and nothing at all from Chelsea. So I am wondering if by 2300GMT tonight if we will have news of movements at the club or if we sit here waiting and nothing happens once again. We hear that Liverpool want £50m for Torres, Liverpool would possibly want Nicolas Anelka as part of the deal but then we hear that Anelka isn't interested and also the speculation surrounding Danny Sturridge and interest in him from Bolton. Let's also not forget David Luiz, is the deal dead or will it be resurrected today? 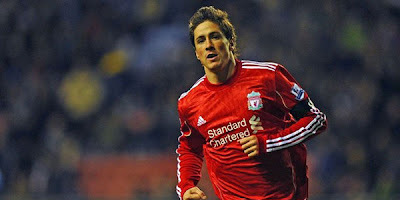 I just hope that after all the speculation that something does happen today and we do sign Torres. Imagine yet another transfer window with Chelsea being linked with a big name signing and nothing happens!. Ideally I would like to see Luiz come to the club aswell as Torres but I guess those days of spending £70m on two players are over......aren't they?